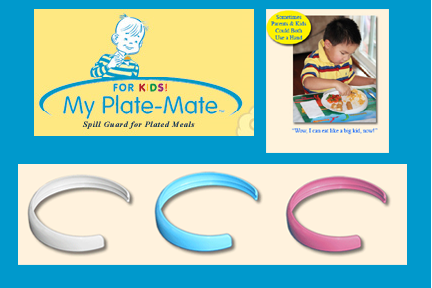 Another great product we were introduced to at the ABC Kids Expo is the Plate Mate plate guard. It easily snaps on to childrens’ plates and acts as sort of a “back stop” for their fork – helping toddlers to be independent while keeping the mess to a minimum. Invented by two moms here in California and made in the USA, this is a genuine great idea! Hello! You two made our 5 days at the ABC Kids Expo so much fun. We are such fans of Pilloroo and have been spreading the word like crazy. Pilloroo is destined to be the Next Big Thing!